Help the shivering green pudding protagonist J. Jitters drive through a chimerical world of fright in a haunted house, where he must carry out a series of mini-quests. There’s just one catch: He’s never alone! Bony witches, rattling skeletons and other freakish monsters romp around the maze of rails. The only way to survive is to rout these creatures with your own crazy weapons. Scare or be scared! 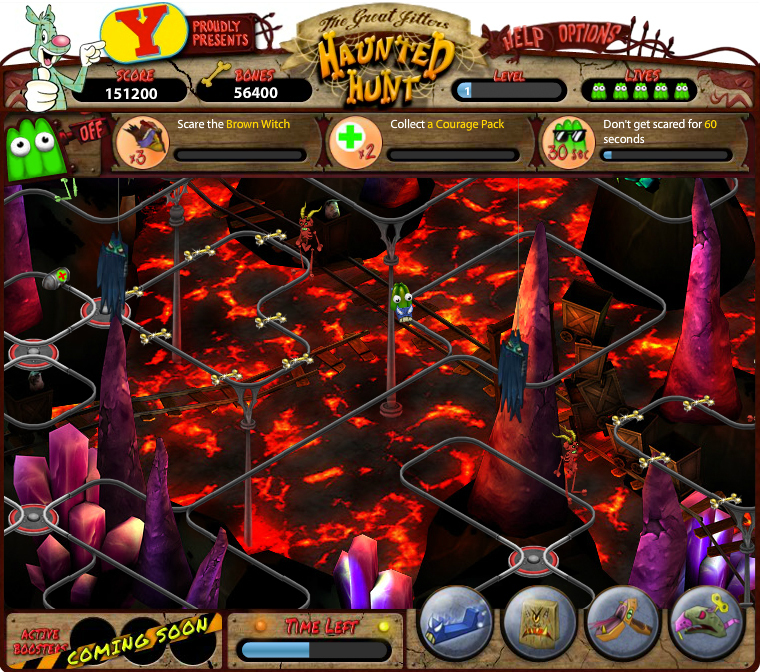 “The Great Jitters: Haunted Hunt” is a tricky action-puzzle game that demands quick reflexes to use the right weapons and work the railway switches to collect boosters and other tokens. 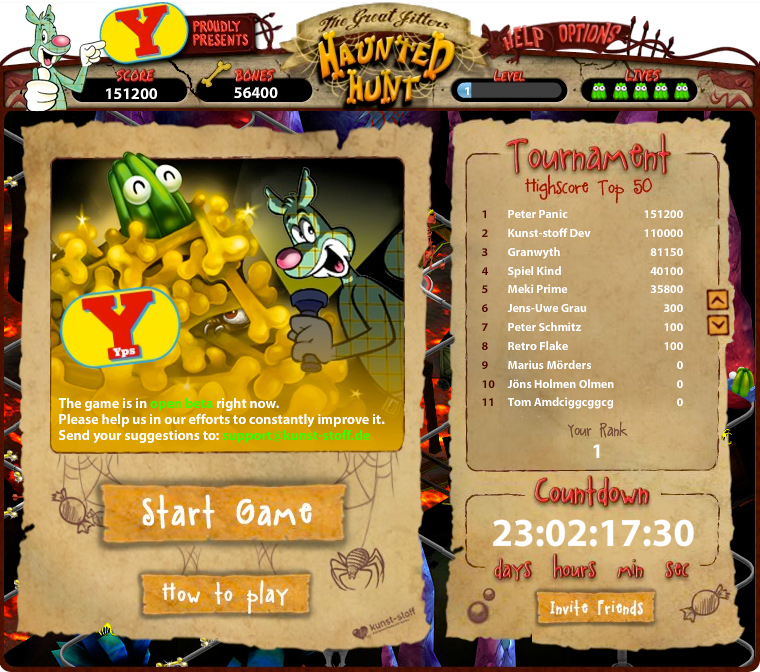 Players who master this challenge can invite their Facebook friends to see who is the best and fastest at navigating the haunted house! 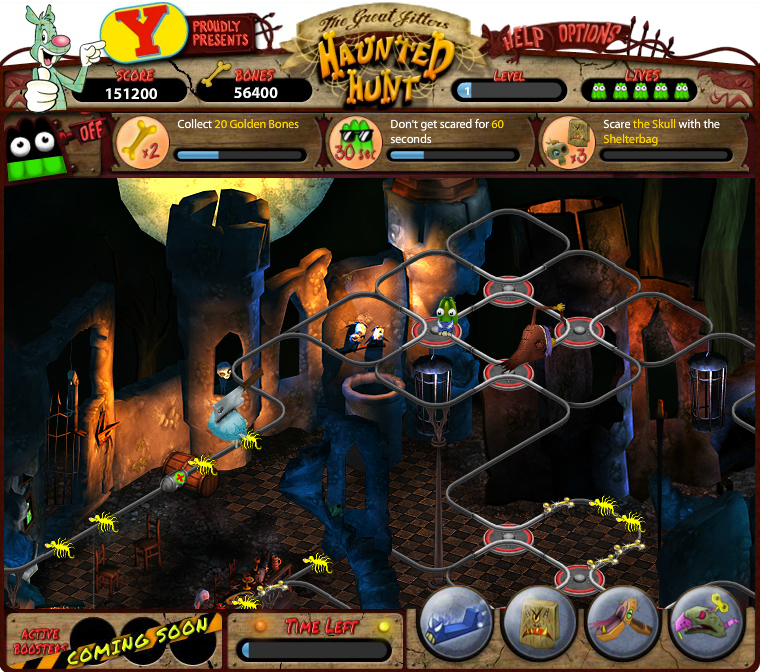 “The Great Jitters: Haunted Hunt” poses a perpetual challenge to collect goodies, scare your foes and outrace your friends. 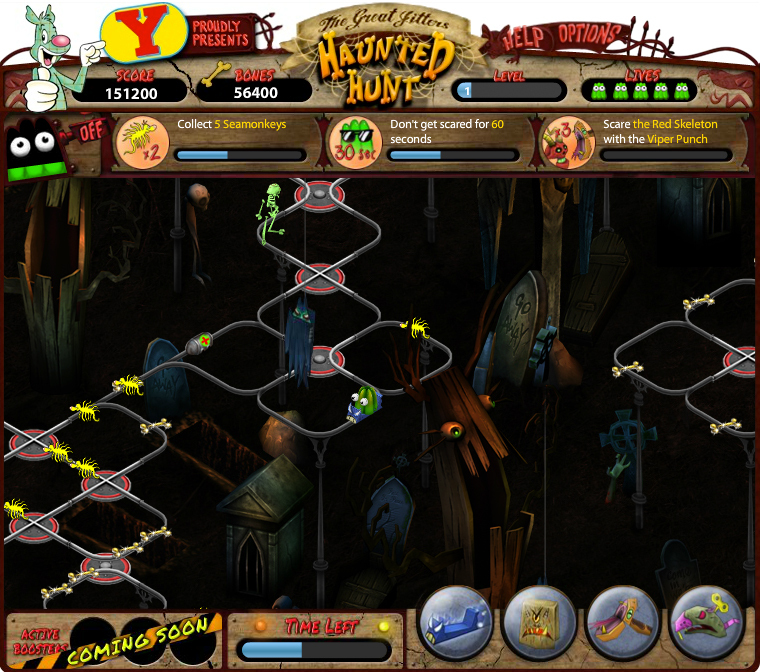 Find and play “Haunted Hunt” now in your Facebooks App Centre!